Photocopy of hand-drawn family tree of the Murrays of Achvaich. 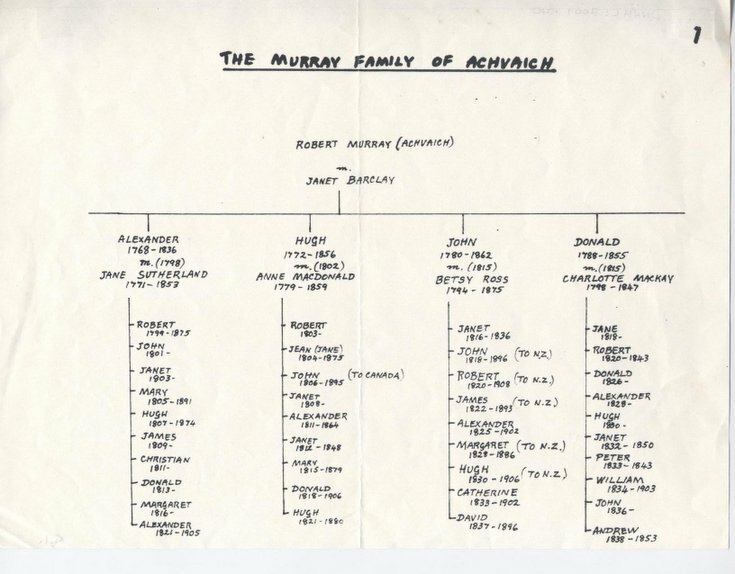 I seem to have the same people in my tree as are indicated on the above " Murray Family of Achvaich " This was sent to me by my aunt years ago. she is now deceased as are my family. Have been looking for more information . My 4x Great Grandfather was Robert's father from my information. I am happy to send you a copy of what I have if you would like it, to see if it contains any information you do not have.